Simon Biggs was born in Australia, 1957, and moved to the UK in 1986. A visual and inter-disciplinary artist, he uses the computer and interactive systems within large-scale installation, web-based artworks and other contexts to explore issues around identity and reality as social constructs. His work has been shown at numerous major international venues, including Tate Modern, South London Gallery, South Bank Centre, New British Library, Whitechapel Gallery and Institute of Contemporary Arts, London; Tate Gallery and FACT Liverpool; Mappin Gallery and Site Gallery, Sheffield; Cornerhouse, Manchester; Ikon Gallery, Birmingham; Kettles Yard Gallery, Cambridge; Harris Museum, Preston; Maclellan Gallery and Collins Gallery, Glasgow; Centre de Georges Pompidou, Paris; Academy de Kunste and Kulturforum, Berlin; Rijksmuseum Twenthe, Holland; Centre for Contemporary Art, Warsaw; Musea Mimara, Zagreb; Macau Arts Museum; Cameraworks, San Francisco; Walker Art Center, Minneapolis; Paco des Artes, Sao Paulo; McDougall Art Gallery, Christchurch; Art Gallery of New South Wales, Sydney; Centre for Contemporary Photography, Melbourne, Curtin University Gallery, Perth and the Experimental Art Foundation, Adelaide. His work has been exhibited in Australia, Austria, Bosnia, Brazil, Bulgaria, Canada, China, Columbia, Croatia, Czech Republik, Finland, France, Germany, Greece, Holland, Hong Kong, Hungary, Italy, Japan, Latvia, Macau, Macedonia, Mexico, New Zealand, Norway, Poland, Portugal, Serbia, Slovenia, South Korea, Spain, Sweden, Switzerland, UK and the USA. He has participated in numerous symposia and lectured in Europe, the America's, Asia and the Pacific region, giving keynote lectures at the Bienale of Electronic Arts, Perth, International Festival of Electronic Language, Sao Paulo and User_Mode at Tate Modern, London. He has also curated a number of significant exhibitions for Site Gallery, Sheffield, Berlin Video Festival, National Museum of Photography, Film and Television, Bradford and the Adelaide Festival of the Arts. Publications include CD-ROM's Great Wall of China and Book of Shadows (both Ellipsis, London); monographs Halo (Film and Video Umbrella, London) and Magnet (McDougall Art Gallery, NZ); theoretical book Autopoeisis (with James Leach, Artwords, London). 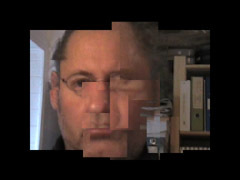 Texts on his work are featured in Internet Art (Thames and Hudson World History of Art series, USA), Medienkunst (Daniels, ZKM, Germany), Web Fictions (Fassler/Hentschlagen, Austria), Clicking In (Hershman, Bay Press, USA), Art and Animation (Channel 4, London), Digital Aesthetics (Cubitt, London), British Film and Video Artists (Curtis, London), Les Lieux de Video (United Media Arts, Canada) and Pioneers of Interactive Art (Dinkla, ZKM, Germany). He is currently Professor of Digital Arts at Sheffield Hallam University, UK.